President Hassan Rouhani will fly to Russia on Monday to shore up relations with Iran’s most important external partner. Strong cooperation between Russia and Iran – particularly in support of Syria’s Bashar al-Assad – has reshaped the strategic dynamic in the Middle East in recent years. The relationship has served both parties well. For Moscow, forging a regional partnership with Tehran has been a crucial step in regaining a foothold in the Middle East. For Iran, exchanges with Russia’s world-class military, sophisticated intelligence networks and high-tech energy industry have been invaluable. 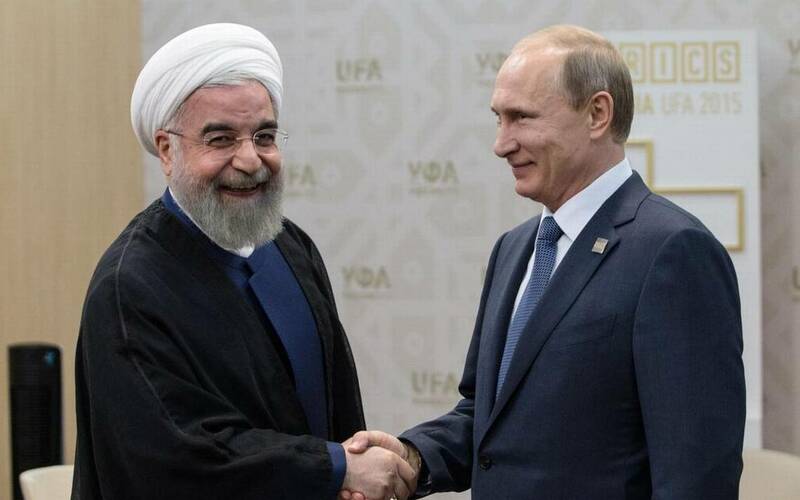 Officials suggest trade and investment will top the agenda when Mr Rouhani meets Vladimir Putin on Monday, their ninth such interaction in four years. The Iranian leader will be flanked by an array of business leaders who will be seeking much-needed investment from Russian state-owned hydrocarbon giant Gazprom. Iran holds huge natural gas reserves – second only to Russia – but lacks the technology and know-how to leverage its natural endowment to its full capacity. With “more than ten documents” to be inked on the trip according to a senior Iranian official, this could be about to change. Events over the next few days will mark a high point in recent relations between Tokyo and Manila. On Monday, the Japanese government will deliver two of the five promised TC-90 trainer aircraft to the Philippines. Tokyo is hopeful that this increased capacity will help counter China’s growing assertiveness in the South China Sea. At the same time, a high-level delegation led by Philippine Finance Minister Carlos Dominguez will touch down in Japan to explore options for infrastructure investment. The delegation is bound to be optimistic following PM Shinzo Abe’s promise of an $8.7 billion aid package in January. It may be the Japanese side, instead, that feels like it needs to drum up funds for fear of losing out to China’s glittering $25 billion in promised aid. 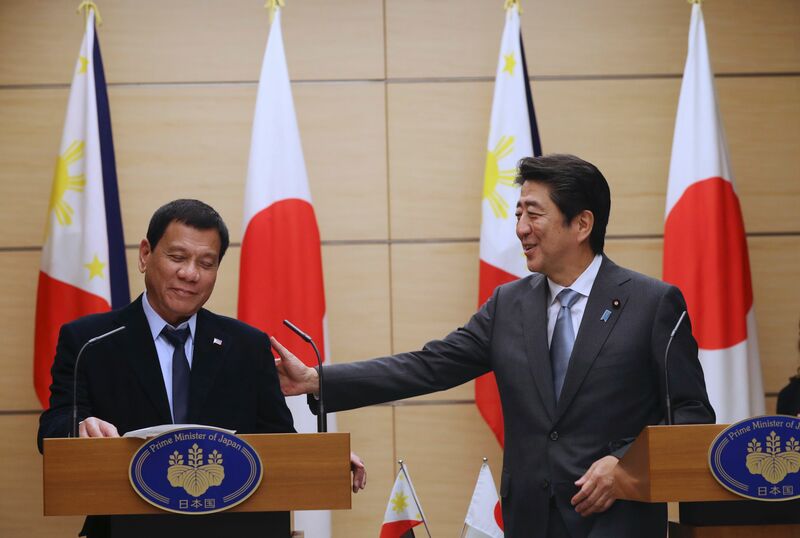 However, Manila’s openness to trilateral military cooperation with Japan and the US suggests that the Duterte administration is likely to continue its risky policy of balancing between old friends and new. 1500 GMT on Monday is the deadline for Northern Ireland’s politicians to reach a coalition deal. If they don’t, the region could face fresh elections – the third vote in less than a year. Perhaps more worryingly for some is the prospect of the return of direct rule from London. The March 2 vote energised a resurgent Sinn Fein, the nationalist republican party. Sinn Fein’s electoral strength obliterated the Democratic Unionists, which lost ten seats in the 90-member assembly. Crucially, while both rival parties now hold roughly the same amount of seats, the underlying tensions that tore apart their coalition government in January are yet to be resolved. 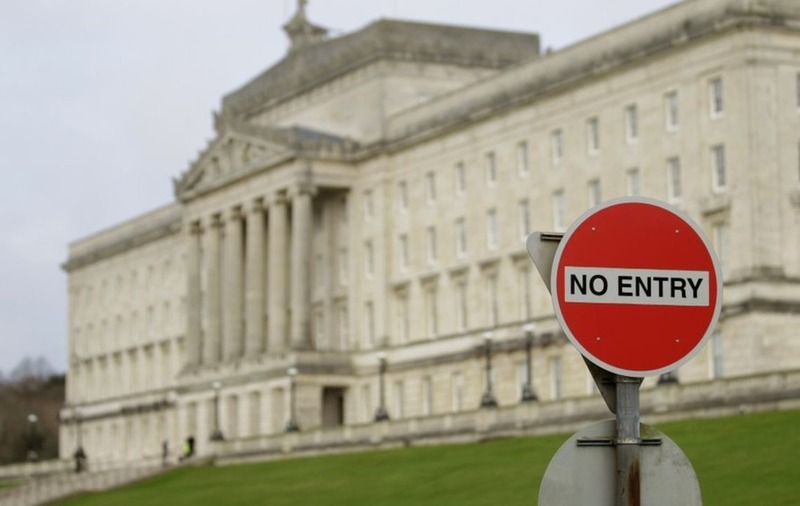 Unless an eleventh-hour deal can be forged (perhaps by cobbling together a number of smaller parties), Northern Ireland risks an uncertain fate. One possible outcome is fresh elections; however, these are likely to return similar results yielding similar impasses. Another is handing power to the central government in London for the first time in over a decade. This option has the potential to open old wounds between nationalists and unionists, particularly given their differences over Brexit. Northern Ireland’s future looks doubtful once more. Enjoying this content? Get it delivered to your phone each morning! The EU’s Home Affairs Council will meet to discuss proposals to control migration along the Central Mediterranean route. Discussions will focus on training and equipping Libya’s coast guard and supporting a comprehensive and sustainable political solution in Libya. Recent Russian activities in and around the North African states may complicate matters. Taiwan will begin three days of live fire exercises on Itu Aba Island – the largest naturally occurring feature of the Spratly Islands – which is also claimed by China. Serbia will hold the first round of its presidential election.